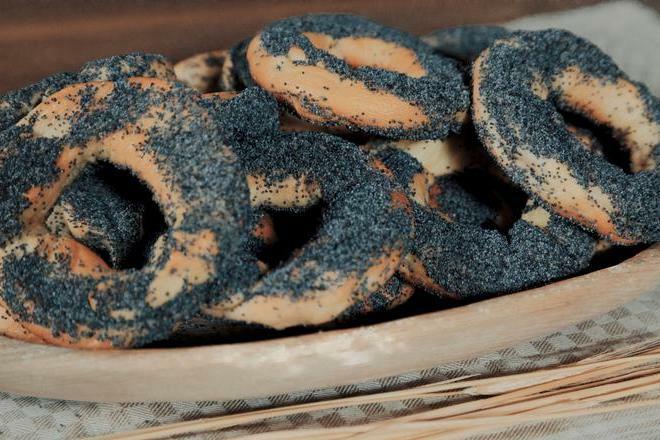 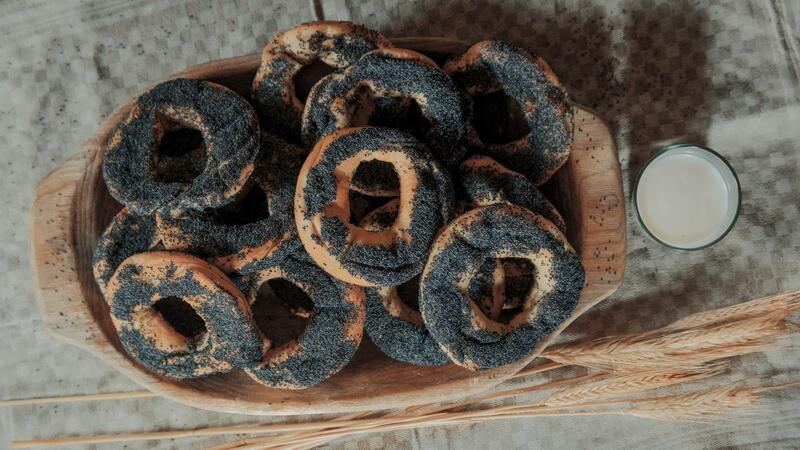 Yeast ring-shaped rolls - a round or oblong ring-shaped cake bakery, usually baked from yeast wheat-flour dough. 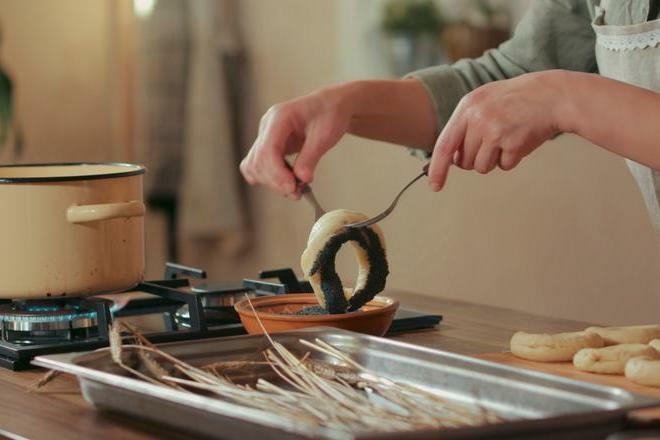 The shaped rolls of about half the size of the palm are shortly put into boiling water, then baked. 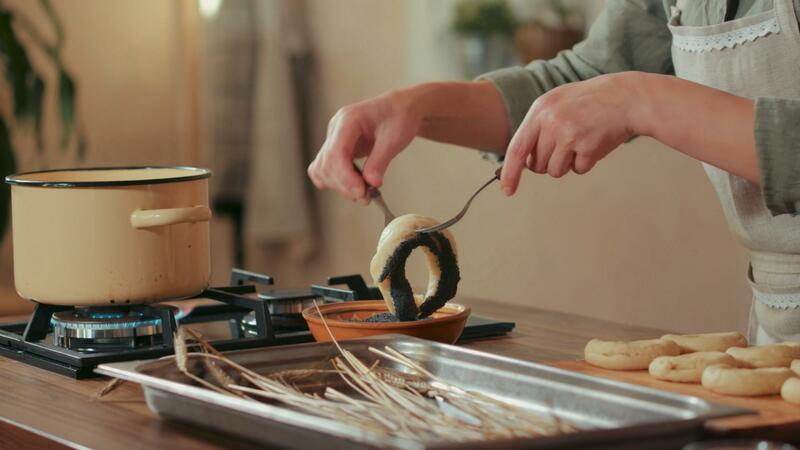 The pulp of the baked roll is dense, tough, and the crust is brownish and sometimes fragile. 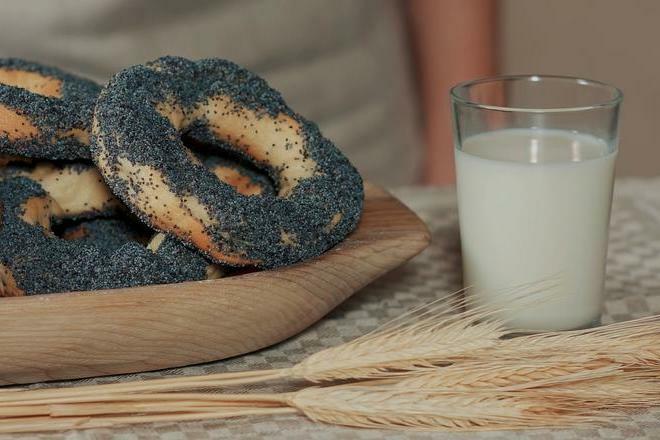 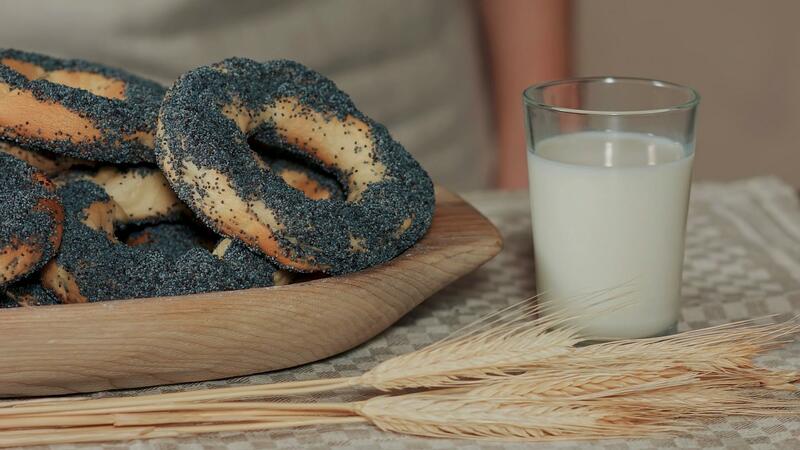 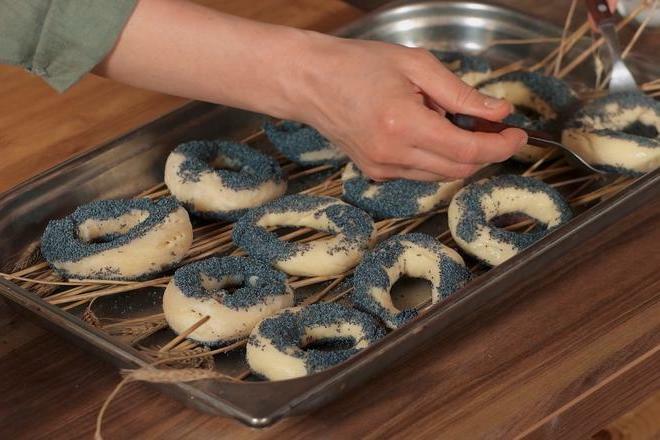 The rolls are often sprinkled with some seeds before baking (traditionally poppy or sesame), which bake into a crust. 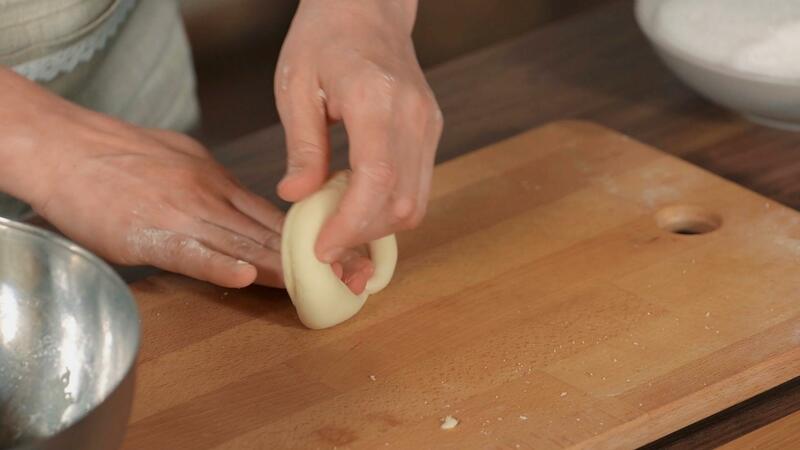 The shape of a roll with a hole is hundreds of years old. 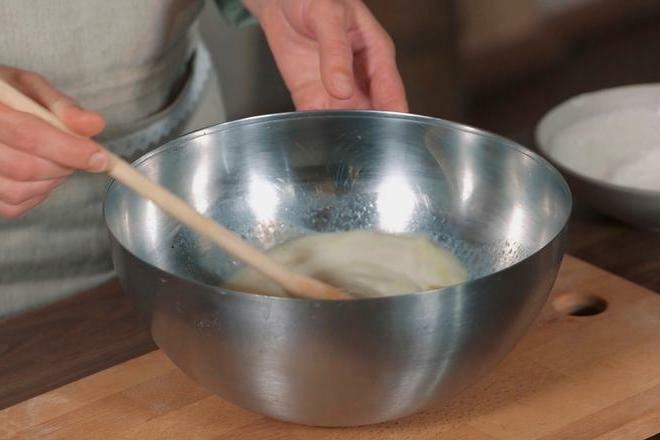 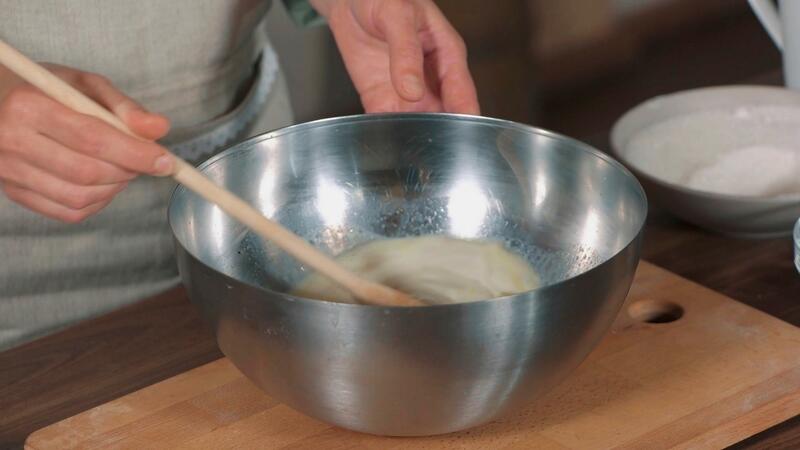 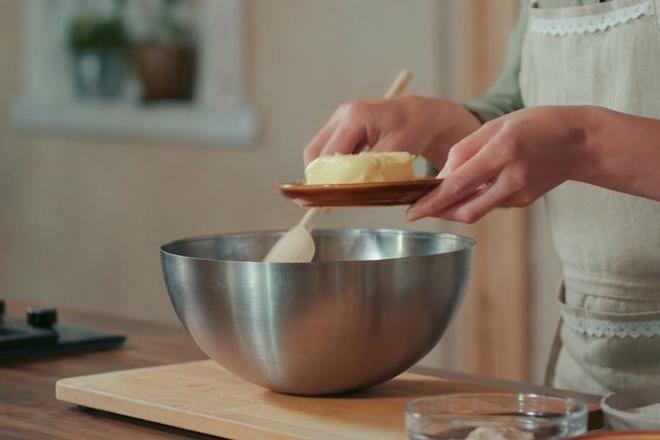 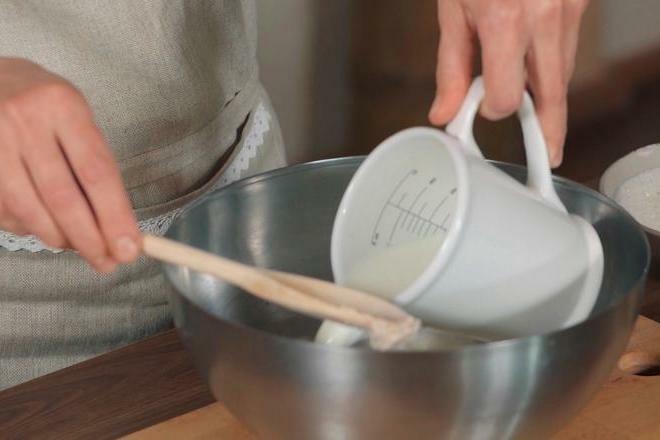 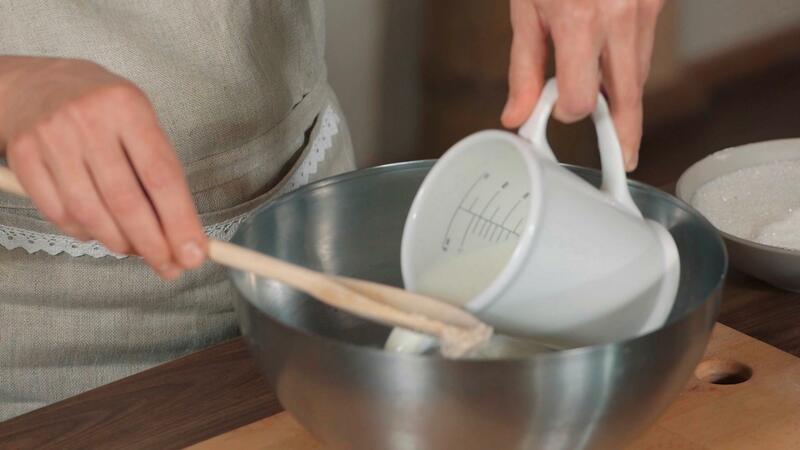 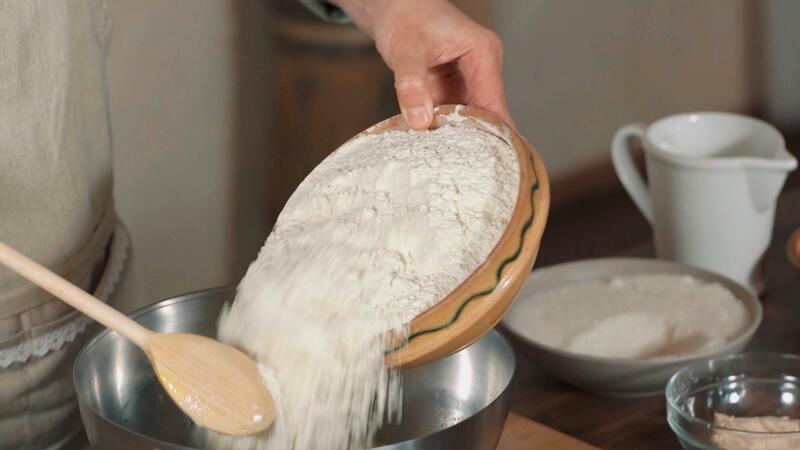 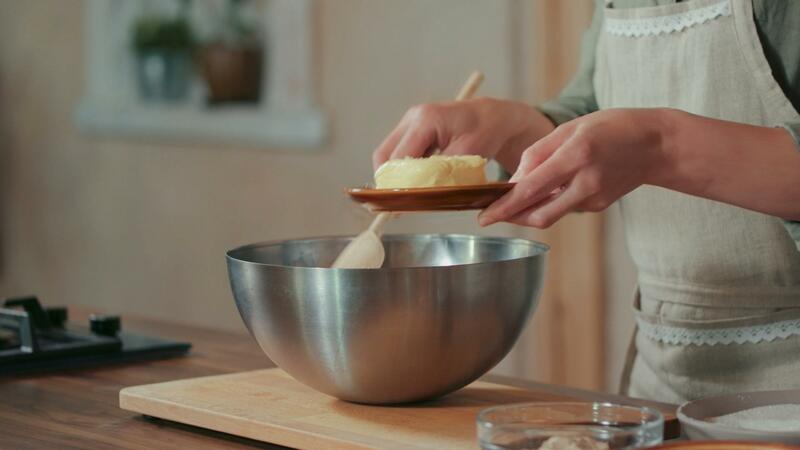 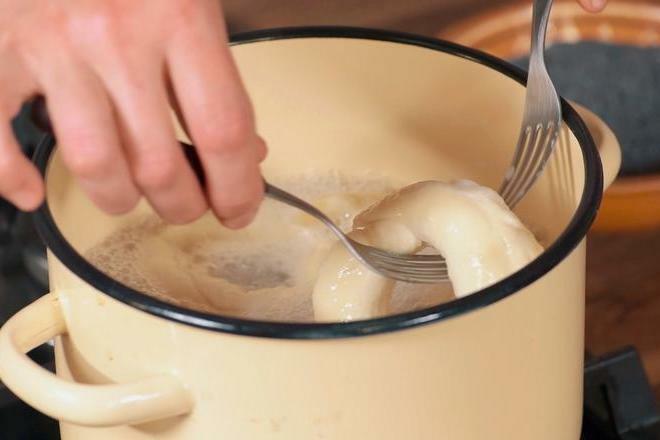 Rub yeast with sugar, pour warmed milk and fat, whipped egg yolks and salt then knead well and leave it warmly for one hour to rise. 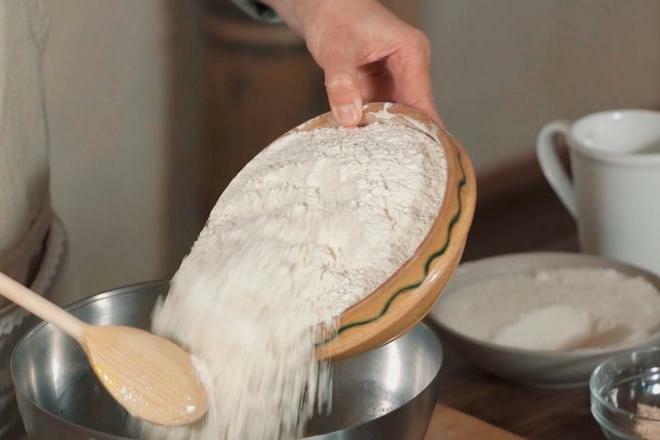 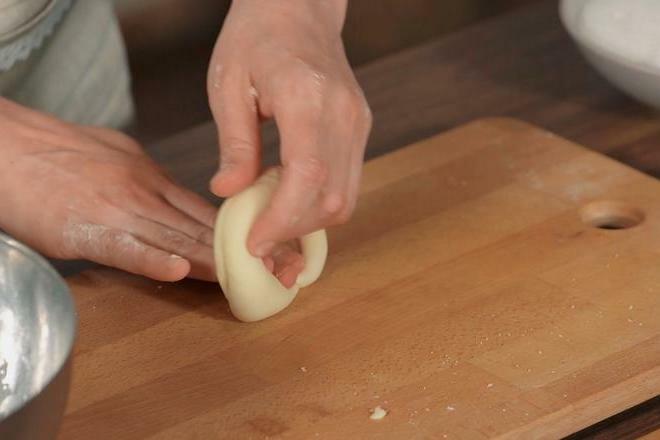 Roll the rolls with the thickness of finger from the dough, bend them as a shape of a ring and thoroughly tighten the ends. 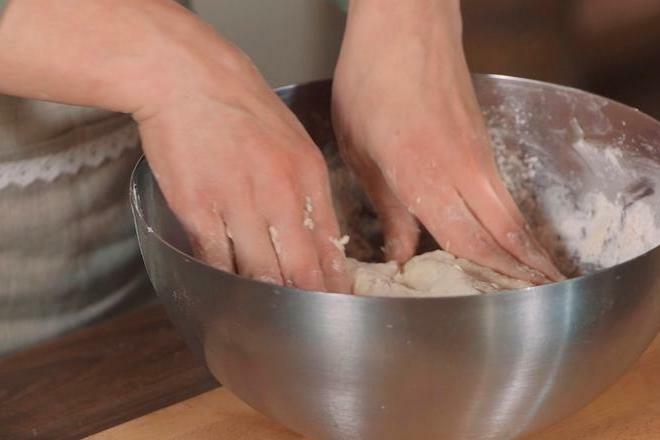 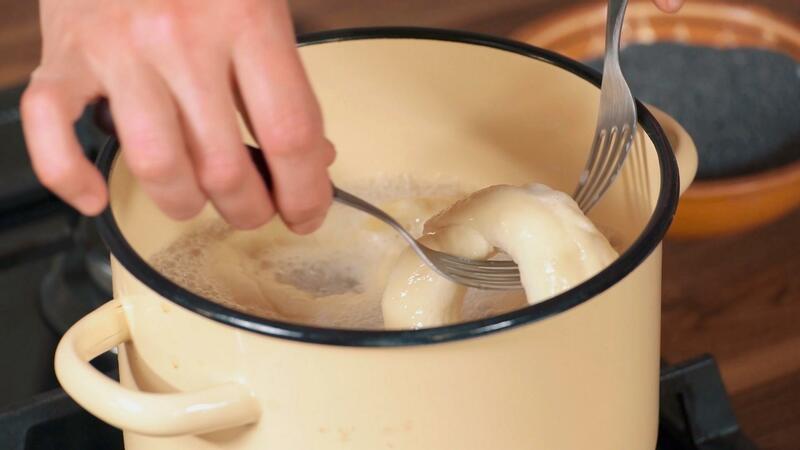 Cook the raised rolls in salted water until they come out. 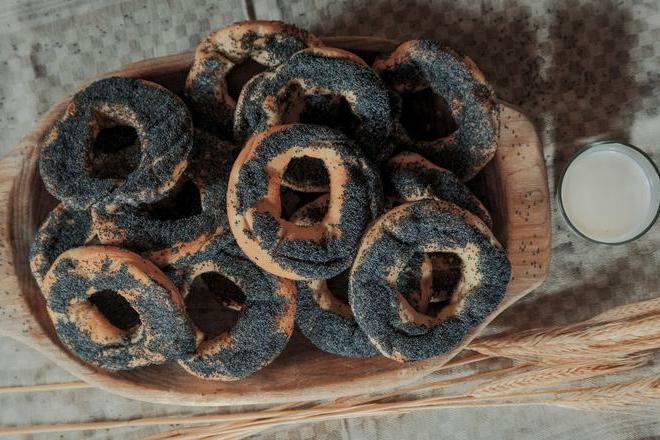 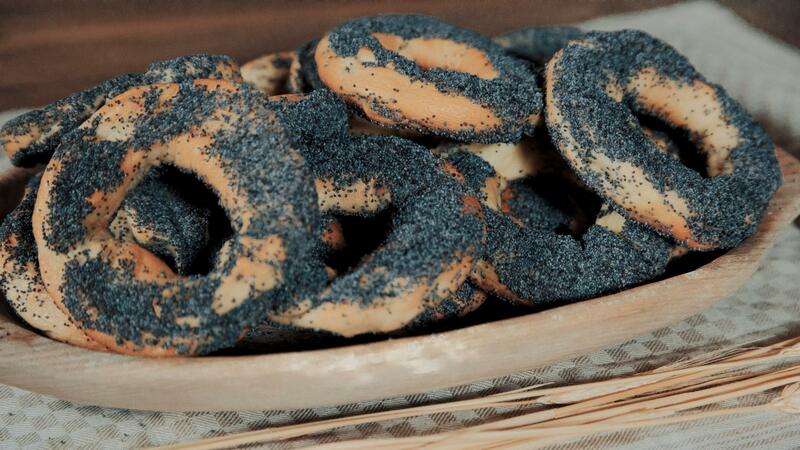 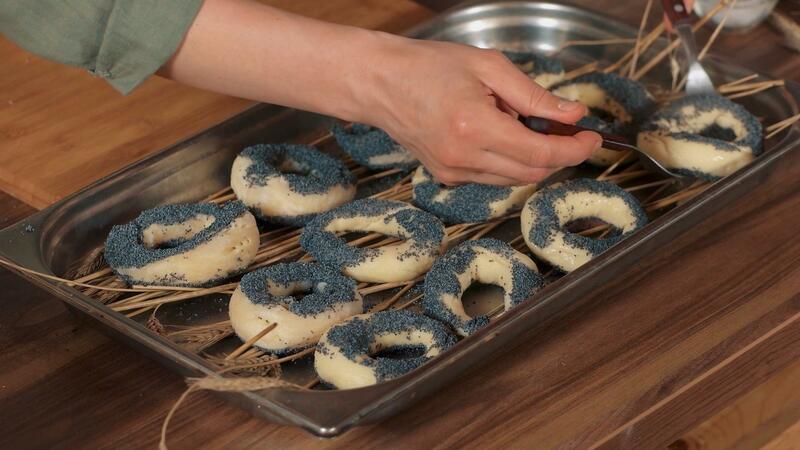 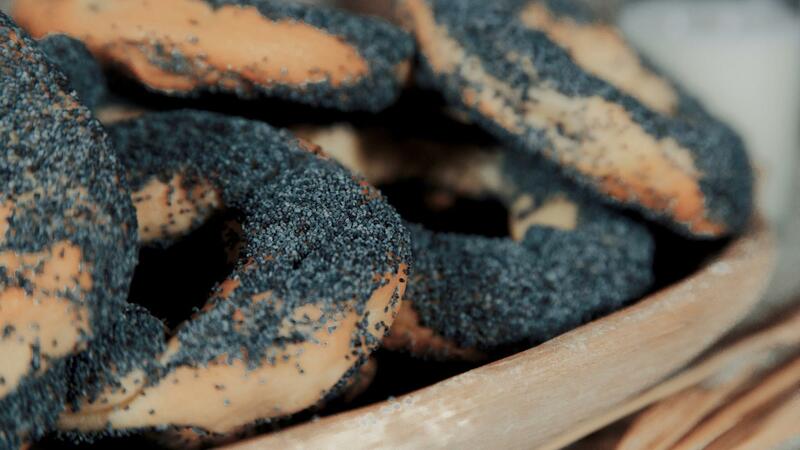 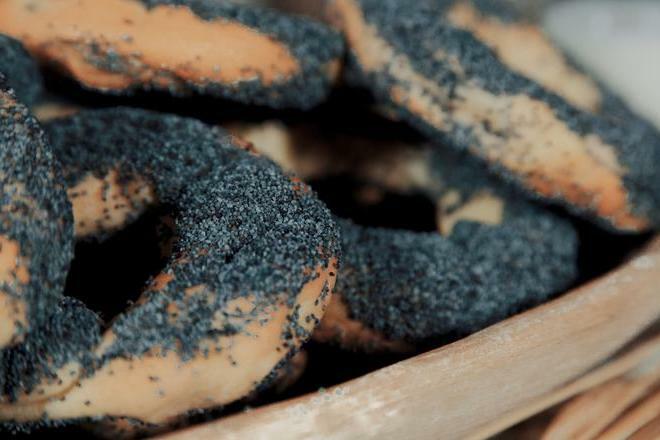 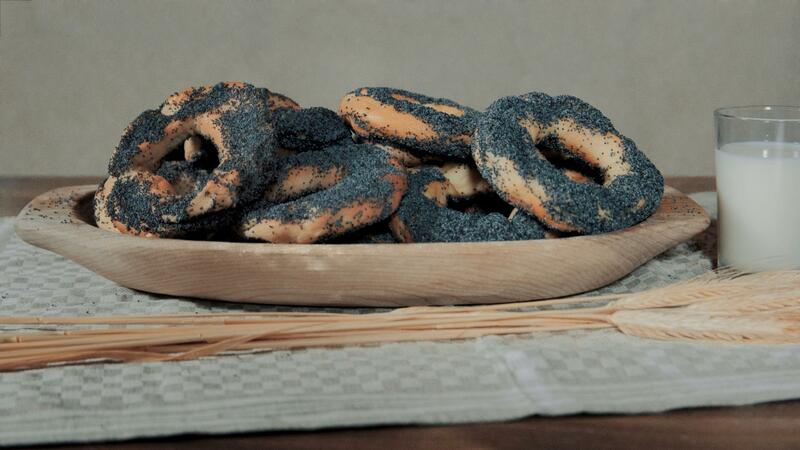 Get them out and cover in poppy seeds, put in a baking pan and bake at 220 degrees for about 15 min. 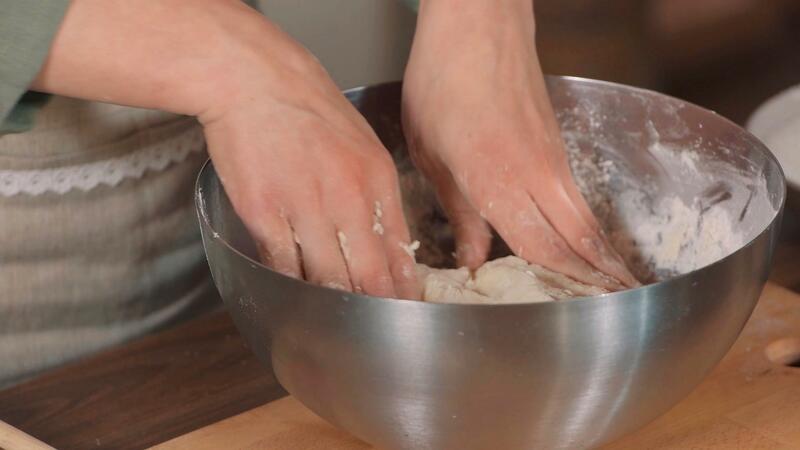 When one side of rolls is done, turn over.